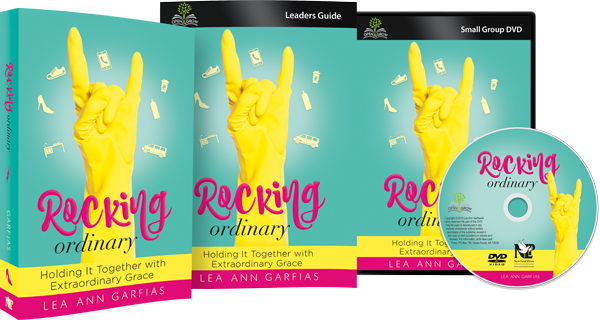 The most common questions I receive about homeschooling are “how do you do it all” and “how do you work while homeschooling so many children?” To give you and idea of how I make it work, I thought I’d give you a peak of my typical day. So here’s what my ideal day would be like. But in reality, I have to hold to this loosely because it never goes quite right. I have an adult son who’s independent, a 16, 14, 10, and twin 7 year old children. 6:00 I get up with my alarm. I used to get up earlier, but I just need the sleep for my mental health, so there. I also used to exercise early in the morning, but I gave that up for sleep. Don’t judge me. I use this time for coffee, Bible study, journaling, and maybe reading a few pages of a book. 7:00 The children start to rise. I get the teens up in the next 30 minutes if they don’t get up themselves. 8:30 Bible time. We read a chapter of the Bible that corresponds to a story in the twins’ picture Bible and discuss what it says about God, what it says about us, and what we should do about it. End with prayer. 8:45 Start homeschooling in earnest. Older children do their work independently while I teach the twins. We do phonics, language, handwriting, and math workbook pages. We’re cramming in a lot of each to review what they had in public school before moving forward with new things, so this takes longer than I’d like. At their age, this should be 30-40 minutes, but now it’s more like an hour. 10:00 Read with each twin individually for 15-20 minutes. The other twin is reading library books by himself quietly. Friday — everyone cleans the house for two hours before tests and checking that work is completed. The twins might not “school” very much that day. 11:30 Piano or violin lesson for somebody while others keep working or twins play. 12:15 Pick up the books scattered around the downstairs and “make your own lunch.” Sometimes I read aloud during lunch. 1:00 Rest time. My oldest daughter usually leaves for work at this time, and she often takes something to study with her. The 10 year old and 14 year old finish homework and chores. The twins have rest time in their rooms, during which they play quietly in thier rooms or even put themselves down for a nap. This is when I work. I have two hours of quiet here to write and/or practice the violin (I’m both an author and a symphony violinist). I guard this time when I’m home, but sometimes I have to use this time for errands or doctor’s appointments. I hate it when that happens. 3:00 Everyone gets up and the house gets loud again. I try to finish up practicing, emails, paperwork, grading, or returning phone calls. If I can, I try to catch a break before supper. My husband really encourages that, actually, because if I keep going straight from 8 am to 8 pm I get really tired and grouchy and ain’t no one want to see that. But honestly, I’m usually really behind on my schedule by this point so the break doesn’t happen often enough. 5:00 Cook dinner. This is when I like to cook, but some days evening obligations start at 5:15 so then I am cooking at 4 or 4:30. Hense no break. Dinner is a different time every night because of evening obligations. Only a couple nights a week but every single Sunday do we get to eat dinner all 8 of us together. So I’m saving plates to warm up later. Evening obligations include soccer practice twice a week at different times for 4 different children (and the games that go with them) (and one of my sons plays on three teams right now), two different nights of orchestra rehearsals for my older daughter and me, occasional blocks of several nights rehearsals and performance for my professional orchestra, and church choir and youth group. My husband owns his own soccer club, so he’s out nearly every night with that. Our evenings are insane. 8:00 Twins bed time and we all breathe a sigh of relief that the day is almost over. The house gets quiet as the older ones enjoy screen time, my husband catches up on bills and paperwork, and I either read or crawl into bed to watch TV. Often a teen will come talk to me about something. 9:30 My 10 year old comes to kiss me goodnight. I fall dead asleep. My husband watches a little TV before bed, and the teens go to bed at 10 or 10:30. Then we’re up and at it the next day. Saturdays are a madness of soccer games, appointments, chores, and such. Sundays I won’t do anything after Sunday dinner. It is very rare I’ll take an appointment that day. I read the newspaper, take a nap, read books, and sit lazy around the house, wishing every day was Sunday. So there you have it. Every working homeschool mom I’ve talked to does this differently. Some get up early in the morning to work before homeschooling. Some work all morning and homeschool all afternoon. Some work during co-op classes. Some virtually eliminate evening obligations so they have more family and work time. Some stay up really late working. Some work away from home and switch childcare and homeschooling off with their spouse or babysitter. You have to do what works for you and your family. I just do it this way because . . . well, I’ve been doing things this way for 15 years and it feels natural to me. 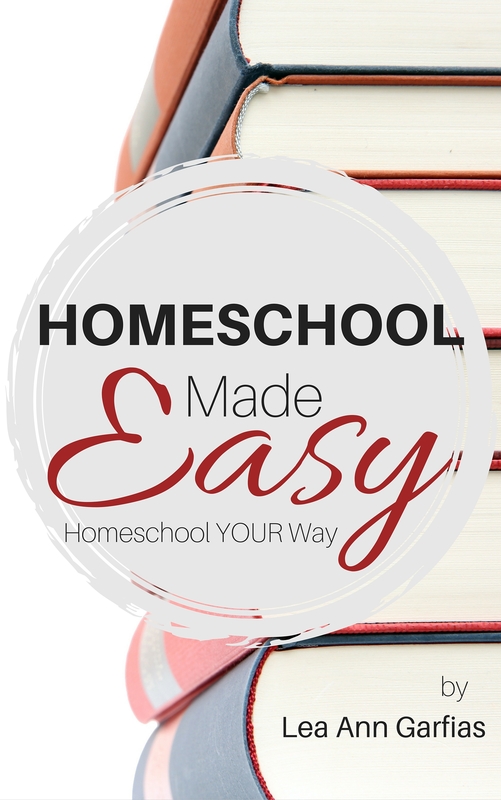 If you want to know how to simplify your homeschooling so that it will only take you a couple hours a day and very little stress, be sure to get my books Homeschool Made Easy and Homeschool High School Made Easy. I think they’d be a big help to you, no matter what your own crazy schedule looks like. Great post! 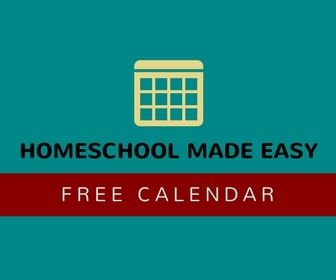 I love seeing how other homeschool families tackle their day! Working while homeschooling kept me sane! 🙂 It also kept my professional skills current so I had money-making capacity when the kids graduated. That is really great that you can do that. My oldest is slightly on the spectrum and I don’t have children older than him to run interference, so I may never have blocks of uninterrupted time. I find it amazing that your children will not interrupt you for such a large chunk of time! Wow, that’s amazing you have the capacity to do all that! I’m a homeschooled high schooler and I totally have to give all homeschooling moms a shout out for all the work you all do!